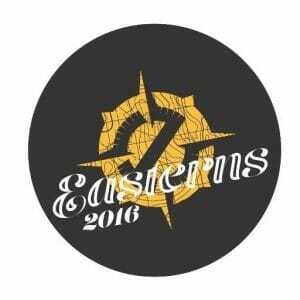 We break down Easterns (with almost no discussion of the fake injury). It was a wild weekend in North Myrtle Beach, as many of the best team in the country met to do battle just off the shores of the Atlantic Coast. While the results of the weekend have been obscured by the maelstrom of hot takes regarding the UNC Wilmington fake injury scandal, it would be a shame to let that overshadow all of the exciting action and burgeoning storylines that developed on the field. In addition to UMass’s emphatic victory, there were several other teams that rose in stature and whole regions that shrank from the moment. One of the primary reasons Easterns is such a fascinating tournament is that it has a profound impact on the bid picture, and often regions emerge from the tournament as winners or losers more so than individual teams. In the spirit of the impending #bidwatch that accompanies the end of the regular season, let’s review the results from this weekend region by region. A really good weekend overall for the North Central, as the two teams they sent into the fray emerged having solidified their positions entering the postseason. Finalist Minnesota Grey Duck looked like the same dynamic team we saw win Warm Up in February, and put to rest any talk that they were just an early season flash in the pan. With another victory over Florida, an impressive win over Wilmington in the semifinals, and an absolute shellacking of Harvard in pool play, they have put themselves in a good position for a 1 seed in their pool at Nationals. Their side stack looked as good as ever, with Ryan Osgar and Ben Jagt are developing one of the best hander/cutter connections in the country. The two Sub-Zero players always seems to be in sync and instinctively know where the other wants the disc. Sam Bumsted continued to make a name for himself on Minnesota’s D-line this weekend, physically dictating play and commanding the disc after a turn. Credit is also due to Minnesota for not letting the precipitous weather conditions slow them down on Sunday morning, which was a problem for several other teams. The Grey Duck offense counts so much on the precision and timing of their side stack, that the wind, rain, and cold could have easily thrown a wrench in things. Despite the weather, Minnesota persevered and were able to execute their game plan better than some other high powered offenses like Pittsburgh or Stanford. Despite their otherwise positive weekend, the tournament ended on a down note for Minnesota when they got dismantled by UMass in the final. More than any other team, UMass tested the two questions we had, and still have, about Minnesota: Can they play elite defense, and can they navigate zones on offense? Defensively, it’s clear that the team has work to do. Other than their beat down of Harvard, they didn’t really crush teams, as their defense found it difficult to pile on breaks. Against the hot UMass offense, they looked almost helpless at points, particularly against the deep ball. Grey Duck only managed one break in the final, which is just not going to cut it in a similar situation at Nationals. On offense, we saw some positive signs over the course of the tournament that the team was dealing well with tricky trap and zone looks, particularly against Wilmington when they were able to move the disc effectively between handlers and poppers through a big four man cup. But again, against UMass and their famously suffocating zone, they fell flat in a big way. It’s hard to be too critical of a team that reached the finals of the most competitive regular season tournament of the year, but their stellar play this season has put Minnesota onto an elite tier of scrutiny reserved only for true championship contenders. It’s been a great season so far for Minnesota, but there are some problems they’ll have to solve if they want to be more than just reach the final in May. Carleton CUT had an excellent Sunday in the 9th place bracket that all but locked up a third bid for the North Central. Given the recent history of the top teams in that region cannibalizing each other, it should be considered mission accomplished for CUT in North Myrtle. The situation didn’t always look so rosy for Carleton after a 1-3 day on Saturday in which they coughed up a 3-0 lead to Stanford, needed a voracious five point run just to lose on double game point to Missouri, and couldn’t hold off a physical Wilmington team to end the day. There were strings of points on Saturday when CUT put it all together: Alex Olson bombing hucks out of the handler set, Justin Lim initiating unstoppable breakside flow out of a horizontal stack, and Henry Fisher putting his huge frame to work downfield. But those brilliant sequences were complimented by ruts when the team couldn’t manage a coherent dump scheme, took low stall shots into double coverage, and blew easy switches to allow easier goals. It was a smoother ride for CUT on Sunday, as they went 3-0 and landed some quality wins. The defense, led by senior Jesse Bolton, who finally looks to be somewhat healthy, and sophomore Sol Yanuck, who is really starting to live up to the hype he generated as a freshman, was particularly effective on day two, closing out Michigan and Virginia Tech on emphatic three break runs to seal some key wins. You can see all of the pieces coalescing for this Carleton team, and with that likely third bid coming their way, a clear path to returning to Nationals lies before them. Carleton certainly aren’t a title contender yet, but they have the raw talent to give some teams a scare, and if they can start playing consistently like they did at their best moments this weekend, they’ll have the chance to rack up some big wins in Raleigh. A great weekend for UMass and a good enough weekend for Harvard solidified the bid picture in New England and showed the clear separation between the region’s two best teams. Most of the coverage of UMass’ weekend can be found in the final recap, but it bears reiterating here how impressive their performance was given the team’s absences. Conor Kline, the leader in goals at Club Nationals last fall, was unavailable all weekend and Zoodisc didn’t miss a beat. The team turned the keys of the offense over to Tannor Johnson, and the rookie justified that faith by throwing up six goals and three assists in the final against Minnesota. While Jeff Babbitt and Johnson may have put themselves out in front of the pack for POTY and FOTY, respectively, it’s worth noting just how far down the line the talent on this UMass team goes. Less heralded players like Jeff Dreyfus, Carlo Cincotta, Sol McMahan, and Will Thornton would all be huge contributors on almost any team in the country, and when they were asked to step up this weekend, they did so with aplomb. So when Ben Tseytlin (just for this tournament) and Brett Gramann (maybe longer) went down with injuries, the “next man up” for UMass fit in nicely. Coming off of the tournament as the favorites to take home the title in May, and with so many capable players on hand, the question for UMass may not be “how good are they?” but rather “how do they maximize their talent?” It will be interesting to see how the brain trust in Amherst moves their impressive arsenal of pieces around the chess board in the coming months. It wasn’t a flashy weekend for Harvard Red Line, missing the quarterfinals on point differential in a tough Pool D, but the team played well enough that you have to feel comfortable they won’t choke away their bid at Regionals. The highlight of the weekend was clearly their insane comeback against Georgia in pool play (available for viewing on the Ultiworld video subscription), in which they scored five points in a row after being down 14-11 to pull off a wildly improbable victory. Comfortable wins over Missouri and UCF on Sunday solidified their strength bid, while a crushing loss to Minnesota that knocked them out of championship bracket contention showed that this team still is a tier below the true title contenders. We come away from this weekend essentially affirming the things we knew about Harvard after Queen City: John Stubbs and Mark Vandenberg are two of the best players in the country, the team does all the little things right to beat teams below them, and they lack the firepower across their roster to seriously challenge better teams. With two tournaments now demonstrating that, it looks like their semifinal showing at Stanford may have been something of a mirage. A good showing from the top of the AC, with both Wilmington and North Carolina making semis, but the dream of a third bid for the region may have died, as Virginia Tech couldn’t quite do enough on offense to get the big wins they needed. It’s going to be almost impossible to separate UNC Wilmington’s performance this weekend from the fallout of this moment, but if you take a step back, there are questions about the Seaman after Easterns that don’t concern their moral fiber. A shaky Saturday saw Wilmington almost get upset by Carleton, and then handily beaten in the next round by Stanford. It looked like more of the same in their first half against Pittsburgh, but then suddenly, they flipped the switch and came thundering back into the game with the type of gritty defense and aggressive offense we’ve come to expect from the Maxstadt-era Wilmington teams. It truly was the injection of Maxstadt into the game against Pittsburgh that started to turn the tide, and the now beleaguered star of the Seaman lived up to his nickname at Easterns, proving to be the X factor that dictates just how good the team can be. Wilmington needed his throwing ability to pierce what had been a very good Pittsburgh defense, and he made a handful of great defensive plays over the course of the contest to help UNCW claw and scrap their way back into the game. He would eventually deliver the winning blow, on a laser flick that gave Wilmington one of their most exciting and improbable victories in recent memory. Maxstadt’s U23 teammates and favorite downfield target Jack Williams may have won himself some deserved plaudits over the season, but this weekend it became clear that as Maxstadt goes, so too do the Seamen. That was a good thing for the team when he lit it up against Pittsburgh, but was a key part in their undoing when the 5th year senior appeared disinterested in defense and careless on offense to the point that he was benched in the second half of their loss to Stanford. There is a lot of talent on Wilmington and deep bench of players who can contribute, like Willie Stewart who drove the offense for UNCW in their semifinal against Minnesota while some of the top players for the team recovered from their game against Pittsburgh. But at the end of the day, unless they make substantial changes to their structure before Nationals, they are only going to go as far as the mercurial Maxstadt will take them. From a team that is dependent on a superstar to a team that has few stars to speak of, North Carolina had some promising results that, while not flashy, certainly are a step in the right direction for a program looking to pick up the pieces after losing so many important players last season. After getting waxed by Pittsburgh in the final round of pool play, UNC responded well by beating Stanford in quarters and giving UMass the closest game that Zoodisc saw all weekend in the semifinals. The offense for Darkside is already looking better than it did earlier this season, as the young handler duo of sophomore Matt Gouchoe-Hanas and freshman Elijah Long continue to make strides, and the defense showed it could tighten up and get the job done in crunch time. Darkside has the reputation for playing high ultimate IQ defense, and that certainly rang true this weekend. No team got more “scheme Ds” from clever poaches and traps than North Carolina. So many times throughout the weekend, an opposing handler would think he had an open throwing window, only for Nathan Kwon or Dain Neilsen to come flying into the lane and either get an easy block or scare the thrower into looking for another option. Despite their good showing this weekend, there is still a question of how high the ceiling is for North Carolina. While they hung tough with UMass, there was never a sense that they could really get a big break when they needed it, and had no answer for Jeff Babbitt down the stretch. Their offense, while improved, still lacked some chemistry and coordination, resulting in quick turnovers that their opponents cashed in for easy breaks. Those holes will sink a team eventually at Nationals, and Carolina still has to prove that they can beat a top five team before we can seriously consider them for a return to the semifinals. It was a “good but not good enough” weekend for Virginia Tech. After upsetting Michigan in their opening game on Saturday, they couldn’t pull off another big win that could have propelled them into the strength bid window. The defense was there for Tech, but their offense could not keep them in games long enough for the defense to pull out a win. They just weren’t on the same level as Pittsburgh, Carolina, or Carleton, and while they had their chances to score that big win, it wasn’t in the cards. Burn has a young exciting roster headlined by Joe Freund that should keep this team relevant for years to come. But with Carolina and Wilmington looking secure atop the Atlantic Coast, it doesn’t look like this is the year for Tech to take that next big step up and qualify for Nationals. Anytime the number one seed of the tournament doesn’t make semis, it’s going to be a disappointment. That’s doubly true when the team is defending their tournament crown, which Pittsburgh was this weekend. When Pittsburgh was at their best this weekend, it was when their role players were looking like superstars. At several points on Saturday, Dylan Best and Kyle Hartley were the focal point of Pitt’s offense, and D-Line stalwarts like Carl Morgenstern, Joe Bender, and Sam Van Dusen were confidently running all over opponents. But on Sunday morning, when push came to shove, it was still Pat Earles, Max Thorne, and Trent Dillon doing all of the heavy lifting, and it came back to bite them. Pitt was leading 7-3 with the disc in hand looking to take half, before the weather, UNCW’s deep game, and the ghosts of Wilmington games past combined to deliver a stunning comeback for the Seamen. How much of the collapse do you chalk up to it just being a crazy game, versus a burgeoning history of mental letdowns and collapses from this Pittsburgh team? That will be the big question for En Sabah Nur going forward, because the other pieces all looked there this weekend, from a top three offense to a markedly improved defense that was not afraid to get physical and had some of the best break conversation rates we’ve seen from a Pittsburgh team in a while. It was a great weekend for the Southeast, with Florida State and Central Florida showing that they are still formidable teams despite heavy personnel losses, and Georgia demonstrating that they have the potential to be one of the most dangerous teams in the country on the right day. The top team in the region, Florida, may have had the worst weekend of the bunch given the expectations coming in. The Gators play a very consistent style, but consistent can quickly turn into predictable, and that seemed to be the case this weekend. No team coming away from their matchup with the Florida surprised by what they saw. Easterns represented a chance for Florida to springboard themselves up a level into contender status with a deep run, but instead we saw more of the same from a team that will be favored to make Nationals but doesn’t look capable of taking down many big names once they get there. The players you would expect to play well certainly did, with Bobby Ley and Tanner Repasky leading the way on offense, but they didn’t make things exceedingly complicated for their opposition to figure out; slow down those two and you slow down Florida. Ultimately, Florida won the games they were supposed to and lost the ones they weren’t. This consistency may very well book them a trip to Raleigh in May, but unless they are able to significantly improve over the next month heading into Regionals, they should have a predictable finish at Nationals as well. A team that was anything but consistent was Georgia. On Saturday alone we saw the highs and lows, as they pulled off one of the biggest upsets of the tournament by knocking off Minnesota, then looked great against Harvard right up until they completely imploded, giving up five straight to lose the game after dropping a game winner in the endzone up 14-11. On Sunday they were disassembled by UMass in quarters, then rebounded with gusto and wiped the floor with Stanford on their way to a fifth place finish. Part of the knock on Georgia this year is that they rely too much on their top players, and that criticism gained some steam at Easterns, as the team really struggled when Parker Bray, Sam Little, or Nathan Haskell weren’t clicking on all cylinders. While some teams stick with their top players out of necessity, with Georgia, the ability is clearly there for several of the team’s role players. We saw some great play in spurts from guys like Sheryar Ali and Patrick Trent, but the team still hasn’t figured out how to maximize the talent of those players to compensate for a down game from one of their studs. There is no telling what will happen with Georgia as we turn toward what should be a wild Southeast regionals. – Stanford’s big win over Wilmington gave them the marquee victory Bloodthirsty had been looking for this season, but it was all downhill from there. What could have been a bigger story was extinguished by their loss to UNC in the first round of action on Sunday followed by a 15-6 drubbing at the hands of Georgia. Bloodthirsty just didn’t react well to the weather on Sunday, as their virtually mistake free side stack offense from Saturday started coughing up the disc when it got slick, and their O-Line did a poor job of getting the disc back after turnovers. The big star for Stanford on the weekend was Elliot Chartock. The handler was immense, driving the team on offense and providing crucial breaks when he crossed over to the defense. He’s clearly one of the best players in the Southwest. It should be noted that Stanford were playing without their star rookie Nick Hirning, who missed Easterns with a pinky injury. – It was an enormously disappointing tournament for Missouri. After beating Carleton on double game point in round one, they proceeded to lose the rest of their games on the weekend, and it often wasn’t particularly close. The O-line just isn’t there for them, and even in the game they won against Carleton, they surrendered a string of breaks at the end of the game when CUT’s defense dialed up the intensity. Largely inexperienced on a national stage, Missouri’s players just aren’t ready to execute good fundamentals under pressure. – Watching Colorado this weekend was like watching paint dry, as they continue to search for a new offensive fulcrum and a new identity after their 2014 championship. They ended the weekend where they started it, in 11th, and while that’s not a disaster by any means, there was nothing this weekend that points to this team being able to do much more than merely qualify for Nationals. – A massively disappointing Saturday hid a decent Sunday for UConn Grind, who at this point looks like just other one in a line of Metro East teams we’ve seen try to challenge Cornell for a trip to Nationals, but threatens to do little beyond that. There were higher expectations for Grind this year, who some had prophesized could bring the Metro East back into relevance. It’s been a couple years since a Metro East team won a game at Nationals, and while it could still happen this year, UConn’s dismal performance on Saturday makes it seem more and more remote. – It was a rough weekend for the Great Lakes teams, as Illinois went winless despite some close games, and Michigan were only able to pull out a win over their intraregional opponent. Despite coming in seeded ninth, Michigan looked flat almost all weekend. After dropping their opening round game to a fired up Virginia Tech team and failing to keep up with Pitt, they were demolished by UNC to knock them out of bracket contention. While the O-line had flashes of brilliance — a scoober to the break side followed by perfect continuation — it was often disjointed and showed that Michigan has some work to do if they hope to return to Nationals in 2016. Comments on "Easterns 2016: Tournament Recap (Men’s)"